The Mechanic newsletter will fly fresh to your inbox every month and aims to provide you with important Bird updates, pro-tips, Mechanic spotlights, and more. We look forward to sharing them with you. The best way to check if the brain is loose is to check by hand. If the O-Ring is visible, then the brain is loose. If the brain is completely off, make sure to inspect the wiring prior to starting your repair. Check out the repair guide for the step-by-step instructions, or watch the video to learn how to repair a loose brain. If the wiring is damaged, or if the O-Ring on the brain mount is missing, the Bird should be transported. 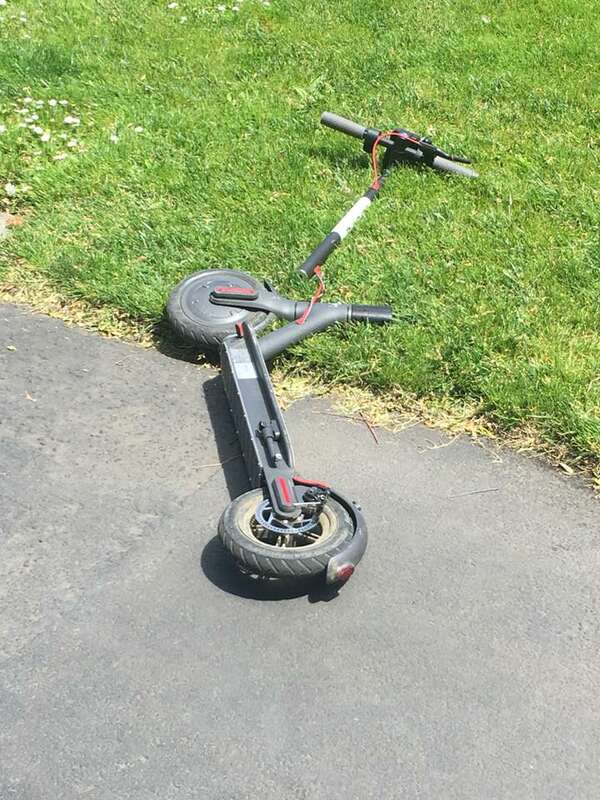 It's important to do an inspection before each repair to determine the type of repair needed, as well as after each repair to ensure that the Bird is safe for riders to use. So we've updated our 2-minute inspection videos for all of our Bird models. Check out the new videos and save the link for easy access. We understand that a number of Facebook and other social media groups have formed among the Mechanic community to share information. That’s great, please continue to share information with each other! But, we’ve learned that some of the participants are impersonating Bird employees and giving advice to you. Please know, official Bird communications will only go to you directly through the Bird App, or other authorized communications (like email and text) – Bird does not communicate through any social media groups or other unofficial/informal channels. If you are ever unsure if something is an official Bird communication, please reach out to us directly through 'Help' in the app. The seasons are changing, temperatures are dropping, and rain and snow are hitting cities across the US. It's possible that you'll come across Birds that have been out in bad weather conditions — like rainstorms, flooding, and blizzards. If you come across a Bird that is submerged in water (or that you suspect has been submerged in water at any point), please do not touch or attempt to capture this Bird. Instead, immediately report its location and send a picture to 'Help' in the app. For your safety, please do not attempt to charge a Bird that has been submerged in water. If it has been lightly raining or snowing outside, make sure that the Bird you have captured is sufficiently dry before attempting to charge and repair it. Please also avoid releasing Birds while it is raining or snowing. If we need to stop releases in your city for a day due to bad weather, we’ll update you directly. Jason C. from Louisville is our Mechanic of the month for inspiring us to find ways to offset our energy usage in our communities. We hope his story inspires you too! "One night I saw the 'be a mechanic' advertisement on my feed and said that would be a great way to earn a few dollars on the side. Soon after being accepted I read the UN article saying we only have 12 years left to make drastic changes to our use of energy, to avert disaster – from that moment on my wife and I knew what we would be birding to save the world. We already have solar panels but recently found out our system could accept four more, and that would get us close to 80% or higher of offsetting our home usage. While I have only been a Mechanic for 3 weeks, we are now at 20% of our funding needs to complete the project. This has been a great journey and we hope that others will be inspired as well to take a few extra steps." Congrats Jason on reducing your carbon footprint!